There are more than 1.5 million nonprofit organizations based in the U.S., such as the Nature Conservancy, Feeding America and Direct Relief, and they all rely on donor support. As such, nonprofits need to be prepared to process online donations safely and securely, which can be done through software geared specifically toward nonprofits and their unique needs. For example, nonprofit payment gateway software provides secure payment functionality for both nonprofits and donors. These payment gateway solutions connect nonprofits to their bank’s processing platform to securely transmit and authorize payments such as donations, membership fees and online purchases. According to Giving USA, American donors contributed an estimated $390 billion to U.S. charities in 2016, rising 2.7 percent. The Charitable Giving Report found that in 2017, overall charitable giving in the U.S. increased 4.1 percent while online giving grew 12.1 percent. Total charitable giving is expected to increase 3.8 percent in 2018, according to a recent report by Indiana University Lilly Family School of Philanthropy. Charitable giving is on the rise and NPOs need to be prepared to securely process all of those donations. The nonprofit sector is comprised of a wide array of health, education, civic, environmental advocacy, social, arts and culture, legal and international relation organizations. No matter their focus, nonprofits all share a central goal of raising funds to support their missions and further their causes. Nonprofit organizations need payment gateway solutions that provide their organizations and donors with essential security. So, to expand upon our payment gateway software solutions, this category will focus solely on the nonprofit sector. Payment processing tools secure donors’ financial information, detect and prevent fraud, and verify that the donors are, in fact, not robots. Nonprofit payment gateways provide all of these features but specifically for the nonprofit sector. They often provide comprehensive options for donation pages as well as integrations with nonprofit CRM and other e-commerce tools, such as subscription management software in the case of recurring payments. G2 Crowd is partnering with Camp Kesem, a national nonprofit organization, to support the more than 5 million children in our country impacted by a parent’s cancer. 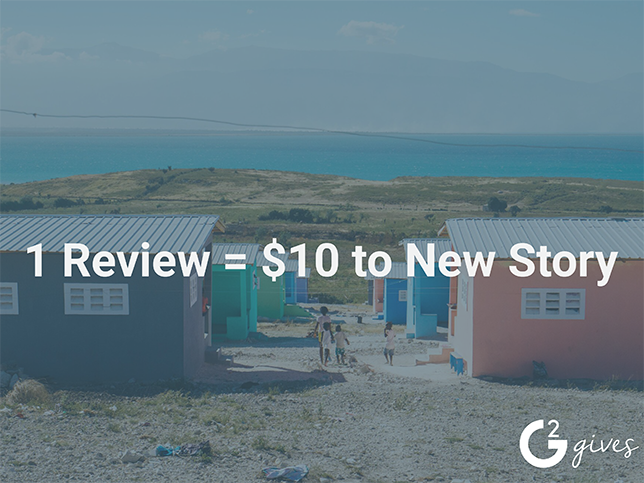 For each review, G2 Crowd is donating $10 — with a goal of raising $5,000 — to provide year-round support and a fun week of camp for five children. Let’s learn a little bit about the 11 products that kick off this category launch. They are listed below in alphabetical order and range from 0–183 user reviews. @Pay is an express payment technology company providing nonprofits with a simple, safe and secure two-click payment experience. Features include web and email donate buttons and a fundraising platform that includes text and email giving, online donation and tools to help nonprofits measure fundraising success. Blackthorn Donations provides nonprofits with virtual terminals built to work with any Salesforce object. Features include one-click donate buttons, customizable forms, automated contact matching and creation, recurring donations and more. Brickwork is iATS Payments’ Salesforce payment solution for nonprofits. Features include online donation page creation; one-time, recurring and ACH (direct debit) transactions; minimal manual data entry; and streamlined and customizable processes. iATS’ Salesforce consulting partners are well-versed in the implementation and customization of Brickwork. Click & Pledge provides nonprofits with customizable cloud-based fundraising solutions. Features include peer-to-peer fundraising, Swiper1 mobile platform and card reader, event and donor management with Salesforce, GiveBig® giving day platform and third-party integrations. eTapestry by Blackbaud provides nonprofits with donor management solutions. Features include integrated social media data services, consolidated payment processing, dashboard reporting, data health scorecard, address finder, online donation forms, email and event marketing, social media and more. Firespring provides nonprofits with tools, education and resources. Features include website design theme, donation processing, email and social media marketing, event registration and more. Greater Giving works exclusively with nonprofits and schools to help streamline event management processes. Solutions include event management, Auctionpay, peer-to-peer fundraising, online payments and bidding, event services and payment card industry (PCI) data security standard technology. iATS Payments provides nonprofits with donation solutions. Features include donation form customization, embedded security, process one-time or recurring transactions, 24/7 reporting and more. “I like that this system really gives you every tool you may need to collect payments safely and securely. The customer service is wonderful and attentive which is great for people who have never used a payment processing system before. iATS breaks down where all of your payments have come from and securely places that money into your bank account right away.” — iATS Payments review by Shira S.
Moolah Payments is a payment processor built for nonprofits to process credit and debit card payments for dues, donations, events and more. Features include mobile terminal, plug and play card reader, credit card terminal and more. The Raiser’s Edge provides nonprofits with customizable fundraising solutions. This Blackbaud product has validated compliance with the Payment Card Industry Data Security Standard (PCI DSS) and the Payment Application Data Security Standard (PA-DSS). Features include an integrated Blackbaud Payment Service (BBPS) that stores credit card and merchant account information in a secure environment. Sumac provides nonprofits with customizable fundraising solutions. Features include fundraising, memberships, events, finance, outreach, ticketing, case and volunteer management, course registration, tour booking, museum management and more. These payment gateway solutions are just a few of the options available for nonprofits today. For additional help in choosing the right nonprofit solution for your organization, check out the nonprofit software categories where you can compare categories, discover their benefits and consider all the available products. And if you manage volunteers at a nonprofit, check out 8 free volunteer management tools for nonprofits for more information. Looking for Nonprofit Payment Gateway software? Check out the nonprofit payment gateway software according to G2 Crowd’s real-user reviews.